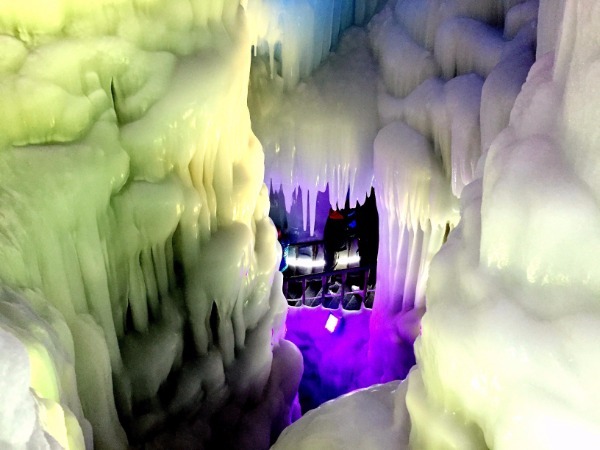 Ningwu's ice cave, cliff-side village and hanging tombs are attracting a growing number of visitors. The ice cave exhaled its frosty breath in our faces as we approached its mouth. We put on our jackets in front of the entrance to the cavern hidden in Ningwu county in Shanxi province's Xinzhou city in August. It seemed strange to don coats in the middle of the sweltering summer, amid the lush vegetation that fleeces the surrounding area. But it felt right once we stepped inside the cave. Translucent ice forms a natural archway leading into the depths.